Like every year, the commission is gearing up to conduct the Combined Graduate Level Tier1 Exam for the candidates this year. It has notified the applicants regarding the exam and conduct Tier 1, 2, and 3 exam for the aspirants. CGL exam pattern has undergone a change and now contains 4 stages in total i.e. Tier1, Tier2, Tier3 and Tier4. 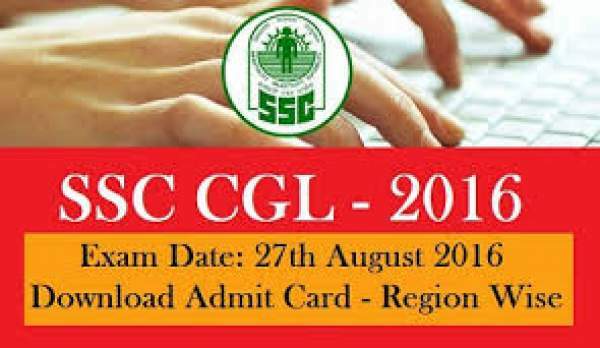 The SSC CGL Tier1 & Tier 2 examination are both online. SSC CGL Tier3 is newly introduced, and descriptive will be conducted in paper & pen mode. The final stage involves (CPT/DEST) after which students proceed towards the final selection of the post. The Commission will be holding the Tier 1 exam from 27th August to 11th September 2016 while the Tier 2 Exam will be held in November 2016 whereas remaining two Tiers will be held simultaneously in the month of January 2017. A large number of candidates are applied for the examination. Those candidates might be waiting for the availability of the call letters. According to the latest news, the admit cards for the Tier-1 exam will be released on 10th August. The commission will release the hall ticket on the official website. Candidates can download it from here. Those candidates who will clear the exam will only be absorbed into the respective posts. Candidates must have to follow the steps to download the hall ticket. The first step is to reach the official website. A homepage will open. Then search for the link ‘CGL Tier1 Admit Card 2016’ by scrolling the page down. Students can save the Admit cards and download it. Then take the printout of the hall ticket for future reference. This admits card must be taken along with the candidates during the examination in the exams centers. This is because it is an important document as it contains all the details like application number, seat number, the name of aspirants or other details. The candidates must have to check the details. In the case of any problem, applicants must have to inform it to authority. Without admit card, candidates are not allowed to write in the examination.